IT’S gut check time for Michael Marum’s men when the Papua New Guinea Hunters face the Central Queensland Capras in Gladstone on Saturday. Both teams are coming off losses in the last round (12) with the home side perhaps a touch more desperate having been belted 42-12 by the Tweed Head Seagulls while the Hunters went down to the Norths Devils 32-24. The Hunters own a 46-12 home victory over the Capras back in Round 3 that should give the South Pacific Brewery-sponsored side some confidence. Marum said fundamental errors were the cause of his side’s downfall last week and that they had not been focused on playing well for the entire 80 minutes. “We have to work harder to improve our performance. “It comes down to being professional. “The loss to the Devils was disappointing because we showed we can compete but we are not doing it for the whole game. “Playing in the Queensland Cup is a tough ask but we have to get used to it and perform,” Marum said during the week. He said playing well and winning in Australia was crucial for the team if they were to feature in the finals this season. 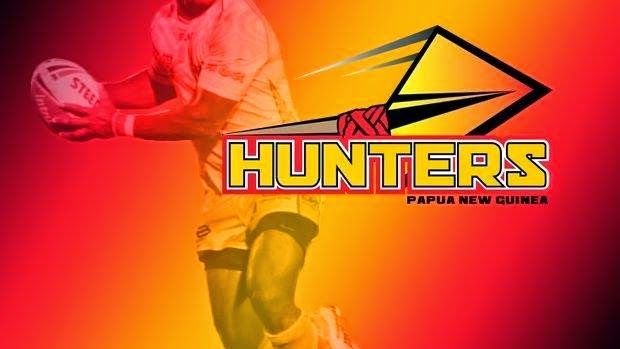 So far the Hunters have won two games (Redcliffe Dolphins and Sunshine Coast Falcons), drawn one (Easts Tigers) and lost three (Ipswich Jets, Burleigh Bears and Norths Devils) on the road and while this was not cause for concern, given the unpredictability of the competition, the PNG side were in the contest in all those losses but could not get over the line. “We have to concentrate for the entire match and work harder on defence to give ourselves a chance of winning. Hunters, who sit on fifth spot on 15, just three points behind competition leaders Northern Pride, will have their finals aspirations given a litmus test by the second last Capras (7 points). It is a must-win situation for Marum, who said there was no room for complacency at the halfway stage of the competition. “This is an important game for us. It doesn’t matter that the Capras are low on the table. They’re still a good side. The side welcomed back second-rower David Loko and captain Israel Eliab while interestingly George Benson’s came in the backrow continues this weekend with the nuggety winger holding onto the No.11 jersey. Goal-kicking utility Noel Zemming fills in for an injured Thompson Teteh at centre in a side that on paper should be good enough to snare a win over the Capras. The match kicks off at 7pm tomorrow at Marley Brown Oval in Gladstone and will be televised live on Channel 8 (channel 21) and Hitron (channel 102) and shown on EMTV at 8.30pm. SP Hunters: 1. Adex Wera 2. Garry Lo 3. Noel Zemming 4. Albert Patak 5. Edward Goma 6. Israel Eliab (c) 7. Roger Laka 8. Timothy Lomai 9. Wartovo Puara 10. Esau Siune 11. George Benson 12. David Loko 13. Adam Korave. Reserves: 14. Dion Aiye 15. Willie Minoga 16. Lawrence Tu’u 17. Tiger Emere 18. Joe Bruno 19. Stanton Albert 20. Noel Joel.